What's a good kid's horror show without a spooky prom queen episode after all? The episode starts off with the gang waiting for Kristen to arrive. She finally shows wearing an antique cloak and gown. And she begins her tale. AYAOTD? -- S01E12 -- "The Tale of the Prom Queen"
The tale starts off at a cemetery. 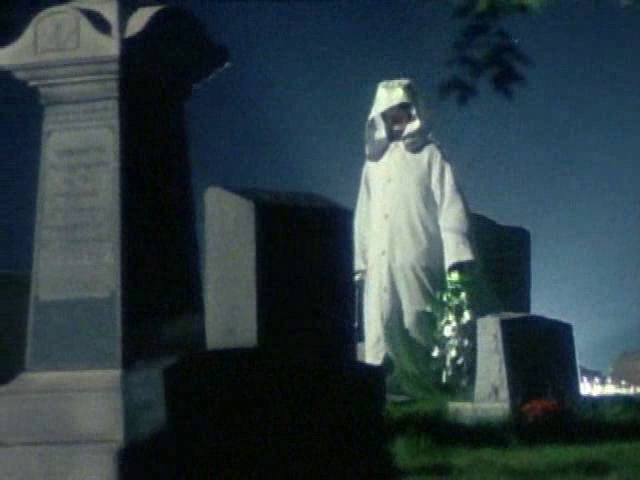 A young girl puts flowers on a grave and hears maniacal laughing off in the distance. She rounds a corner and a guy jumps out and scares her, she turns to run and runs into a second guy. "We're not ghosts. Or maybe we are. Ever seen NIGHT OF THE LIVING DEAD?" the first guy jokes. 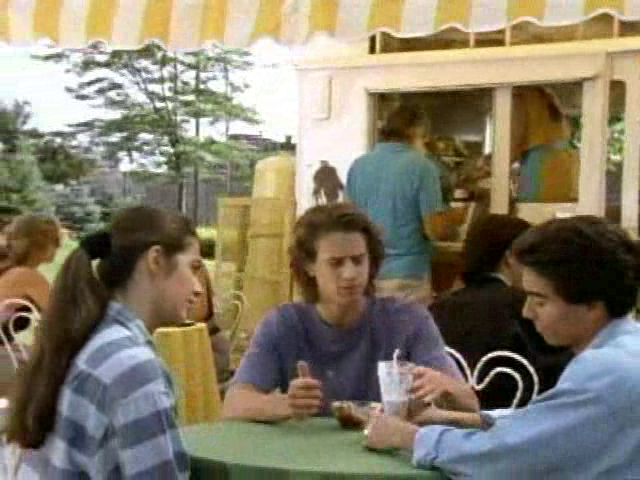 The guys end up being Greg and Jam -- and the girl is Dede. Jam tells Dede the story of the prom queen, a local ghost story. Dede tells them she used to live here but moved away and she's only visiting. Side note: I'm calling it now, Dede is the ghost prom queen -- keep in mind I have never seen this episode and am writing this as I go. The story Jam tells here is how a driver accidentally hit the girl as he was driving at night through dense fog. He also tells her that every year, on prom night, her ghost can be seen waiting by the cemetery gates for ride that will never come. Sounds a lot like the story of Resurrection Mary at Resurrection Cemetery in Chicago. Jam asks Dede is she'd like to hang around and help them see the ghost. She agrees. And Jam delivers another cheesy one-liner: "Let's go ghost hunting, boys and ghouls." Rather than asking the police for help, they decide to go to the library and search old newspaper archives. And bingo! They hit paydirt. 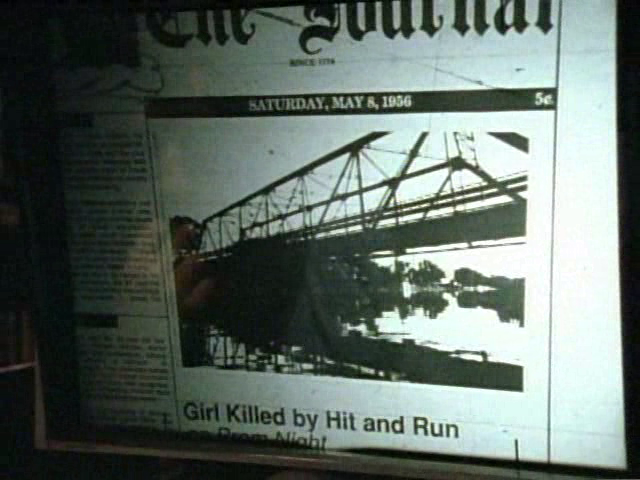 A newspaper article detailing the accident from May 8, 1956. Suddenly, they hear a noise, someone is approaching them in the dark library basement. A light flips on. 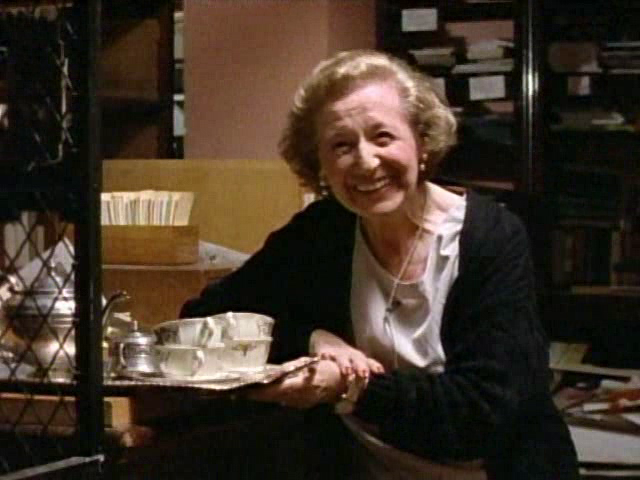 But it's only the librarian, offering the trio some hot tea. Later that night, the three meet at the bridge where the prom queen's boyfriend, Ricky, drove his car off of -- to perform a seance. 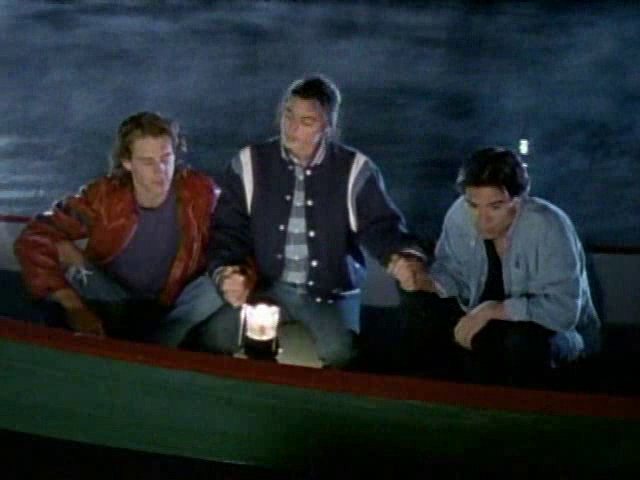 Dede says the that the seance needs to be performed where Ricky died, so the three of them take a small boat out and drop anchor under the bridge where it happened. They hold hands, close their eyes and try to imagine Ricky. Dede gets really into the ritual. Jam even comments, "You're really good at this." 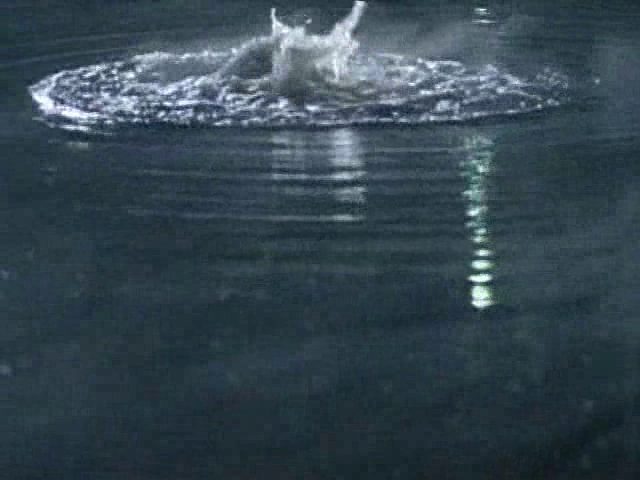 Suddenly the water behind them begins to bubble. The bubbles chase them to shore where they jump out of the boat. After the encounter, the trio agrees to meet at the cemetery the following night -- prom night -- see if the seance worked. 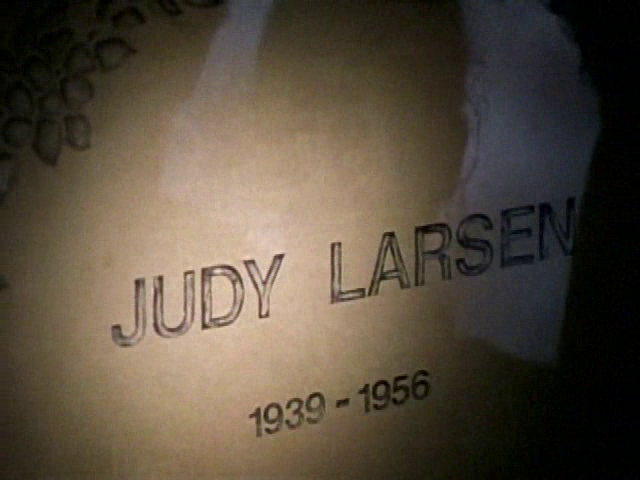 They meet at the prom queen's grave, Judy Larsen. Dede suggests splitting up but Greg demands they stay together while Jam points out a spot where they should wait. ...but it ends up being one of Jam's cousin playing a prank, which Jam orchestrated. But suddenly, Dede spots something coming their way! 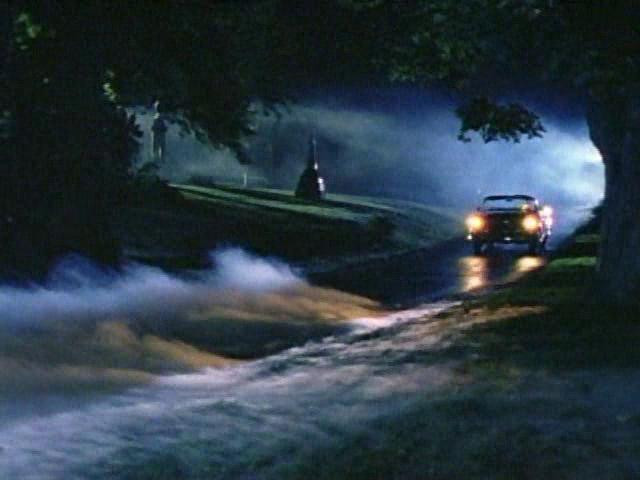 Once the car pulls up, Dede walks up to it, let's down her hair and reveals herself to be Judy, the ghostly prom queen! She hops in the car, says her goodbyes to the guys and thanks them for the help and takes off. Next episode: S01E13 -- "The Tale of the Pinball Wizard"